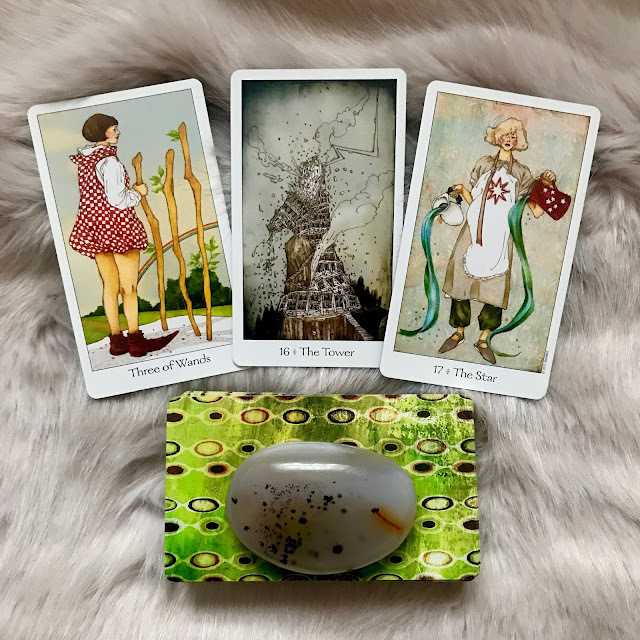 They say that life is what happens when you're busy making other plans and today's cards talk about being completely blindsided by something big and potentially life-changing. The Tower represents major shifts or changes that have the capacity to alter your life in unexpected ways. While the outcome is not always negative, when you have no control over things as they are happening, it can be hard to imagine anything positive might ever come out of it. That's not the case here, but it might take some time before you can see it this way. What exactly am I referring to? It could be something on the level of form - a loss, separation, accident, financial crisis etc - or it might refer to a massive internal shift. Revelations or major changes in your beliefs or thinking can also show up as The Tower - so, it it basically anything which has a profound and life-changing effect on those concerned. If you can relate to this message, it's likely that you're feeling the way the character in The Star looks - dishevelled and operating on auto-pilot, with your resources quickly draining away. However, despite her somewhat dazed appearance The Star is a card of hope and, importantly, she wears the Polar Star. She is a guiding light. Although you may not feel it, this card is confirmation that you're in exactly the place you need to be and will help others to navigate this difficult time. The Star also brings clarity - recognise that you are doing exactly what you need to do and there is nothing that anyone could have done to change things. I pulled a further card for practical advice on this situation. 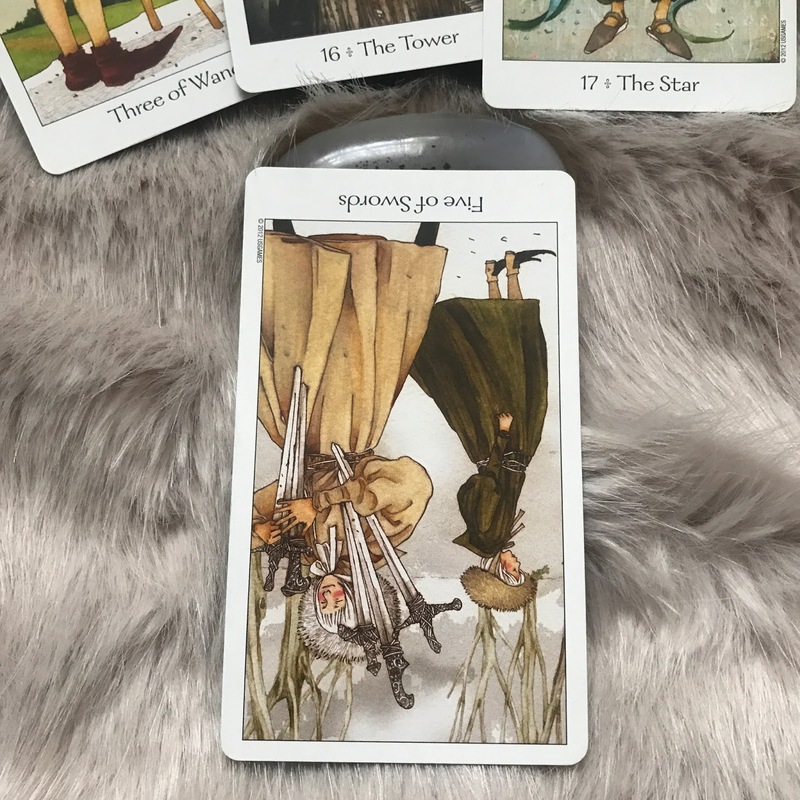 The 5 of Swords Reversed is about getting closure. If there are still unresolved issues, you're advised to get them sorted and to stand firm in what you know to be true. Not what you 'think' with your logical brain, but what you know in your heart. Listen to your inner guidance and don't let yourself by swayed by the upset or behaviour of others. Do what you know to be right. Ultimately, that is all you can do.